The Ateneo Eagles soared higher as selected students, parents, alumni, teachers, staff, and school administrators strutted down the catwalk in the Magis Eagles Arena on January 27, 2017. Dubbed “Eagles on the Runway”, the fashion show fundraiser featured different attires in the life of the Ateneo Hearter. The proceeds of the fashion show will be used to build the covered walkway from the Grade School Building to the Magis Eagles Arena. Mrs. Sarah Cortes, the PTA President, brought to light the concept of Magis as she welcomed the school community to the fashion show. 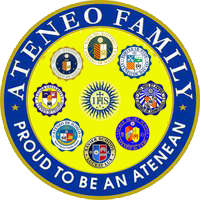 The Eagles then showcased the Ateneo Hearter’s life beginning with the parent-child tandems in the Colors of Summer segment. Then, Ateneo Hearter’s school uniforms were modeled by our very own Kindergarten, Grade School, Junior High School, and Senior High School students. This was followed by the male and female teachers and staff who were also wearing their complete uniform. 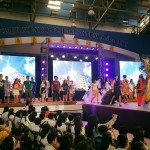 Another parent-child segment amused the audience as models showcased the Career Day costumes. Ateneo Hearter athletes then sported the Intramurals and P.E. attires. Varsity players also brandished their very own varsity athletic attires. 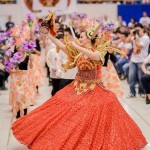 The second part of the fashion show paraded eye-catching costumes for different school celebrations. Sparkling and colorful models flashed their smiles for the camera as they exhibited the attire for the following celebrations: Book Character Week, Buwan ng Wika, United Nations, Science/STEM Week, First Communion and Confirmation, Christmas Fair, Sinulog, and Chinese New Year. Young student audiences looked forward to experiencing some memorable occasions in school such as the Prom and Graduation Day as High School students showcased the attires for these events. 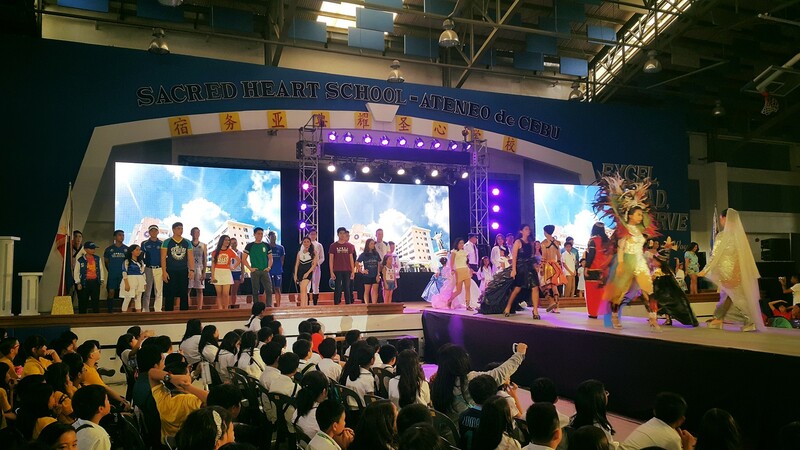 The fashion show culminated with the presentation of the models wearing the vestments of the Grade School and High School Knights of the Altar. 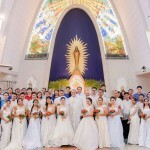 Finally, the Ateneo de Cebu Jesuits headed by Fr. Manny Uy, together with the little Pope Francis closed the show. Undeniably, the Eagles on the Runway: Fashion Show for a Cause was a success.